It all started with Tim browsing the Internet, attempting to find cool space relics to purchase. After scrolling through pages and pages of artifacts on an auction site, he stumbled upon a Russian high-altitude spacesuit. As the lone bidder, Tim won the suit, and before long, a 45-pound box arrived on his doorstep. One of the first times Tim donned the spacesuit was on a visit to Kennedy Space Center in Florida. His goal? 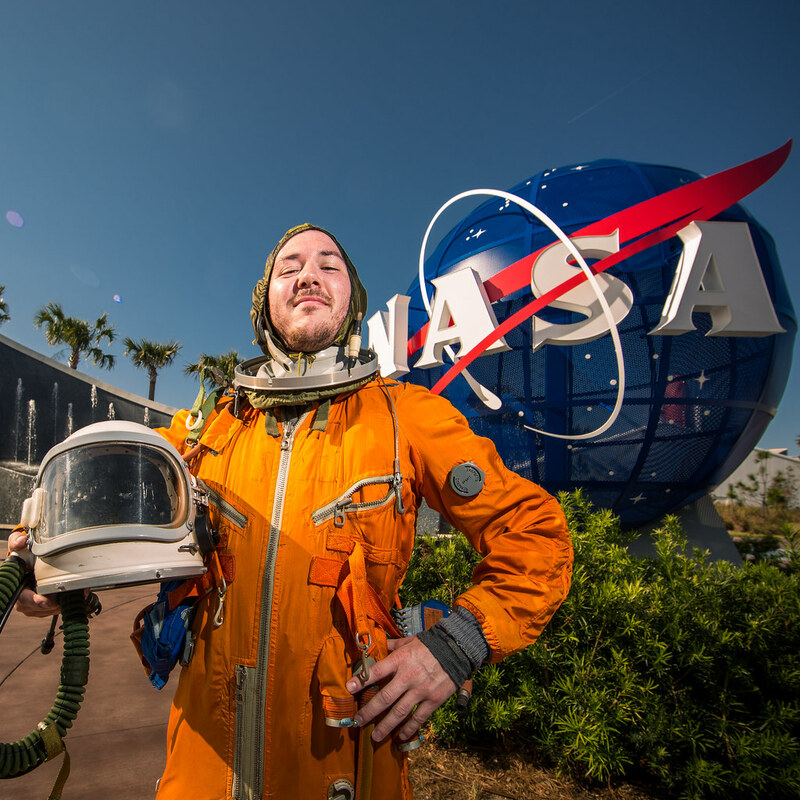 To take a photo of himself wearing the suit with the NASA sign in the background. 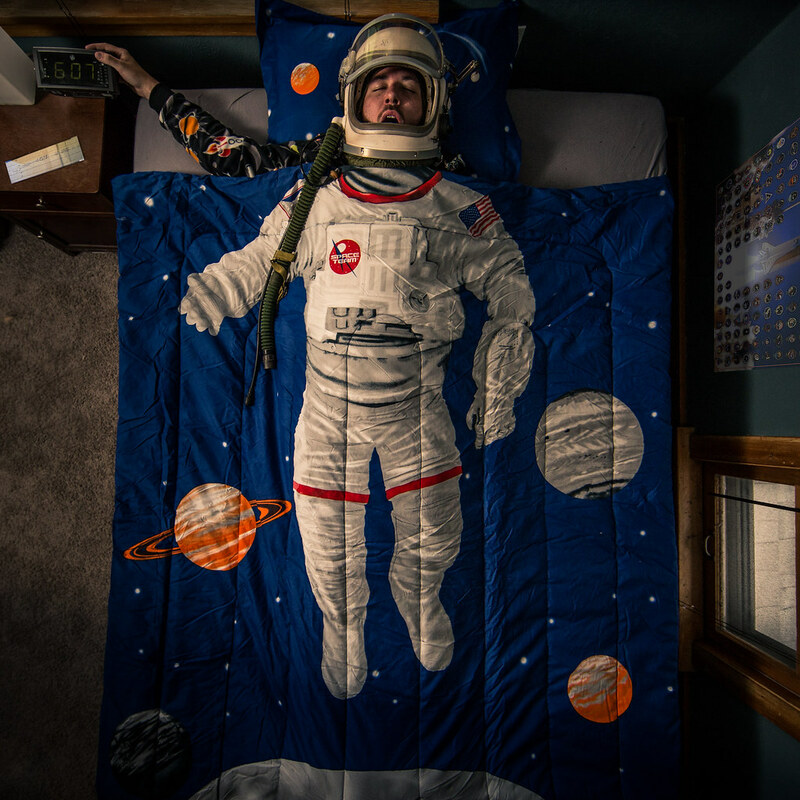 Friends’ reactions to the funny photos sparked the idea for a full series, and Tim began imagining what everyday life would be like for an astronaut on Earth: waking up, grocery shopping, mowing the lawn, walking the dog, cooking dinner, and so on. But taking funny photos of himself in a spacesuit wasn’t enough. 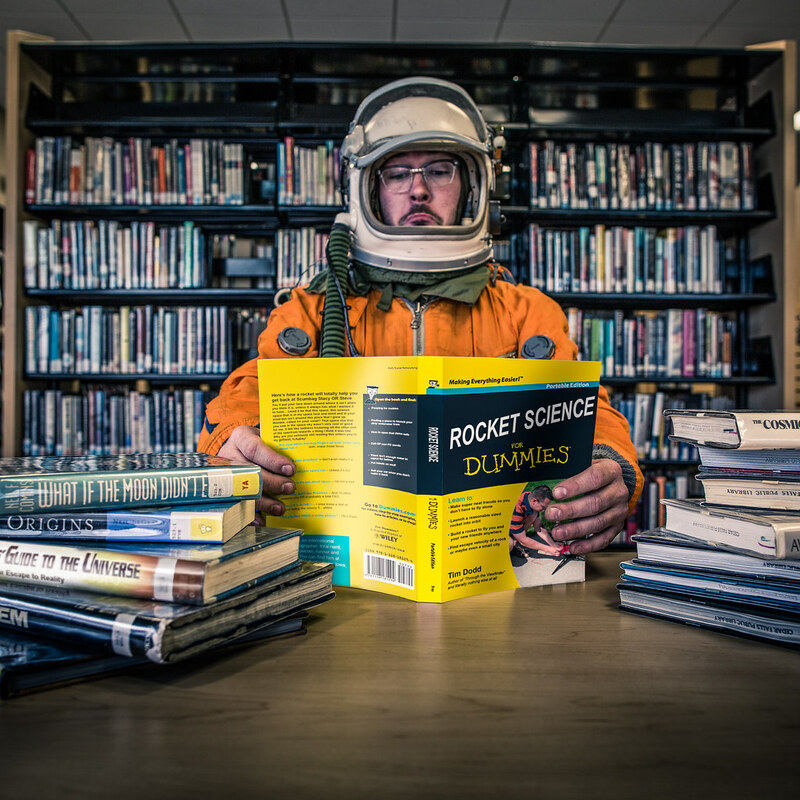 Tim wanted others to share his love for space, so he started hiding little details in every photo that point to an aspect of the world’s rich space history. 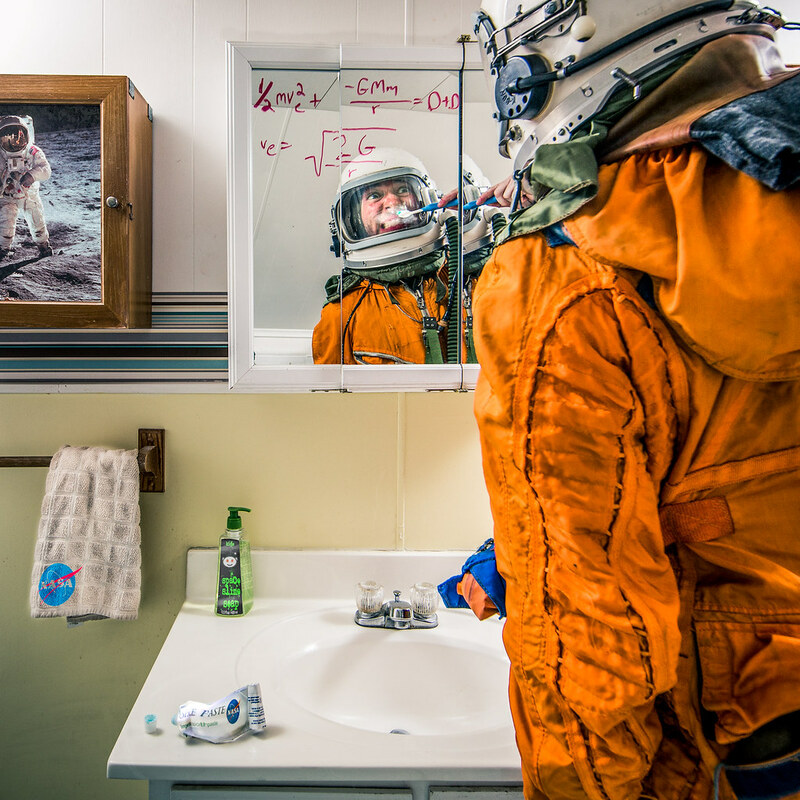 Another example is the photo of the everyday astronaut brushing his teeth. The image features “NASA space paste” which is the actual toothpaste used in space. The equations scrawled on the mirror stand for orbital mechanics and escape velocity. 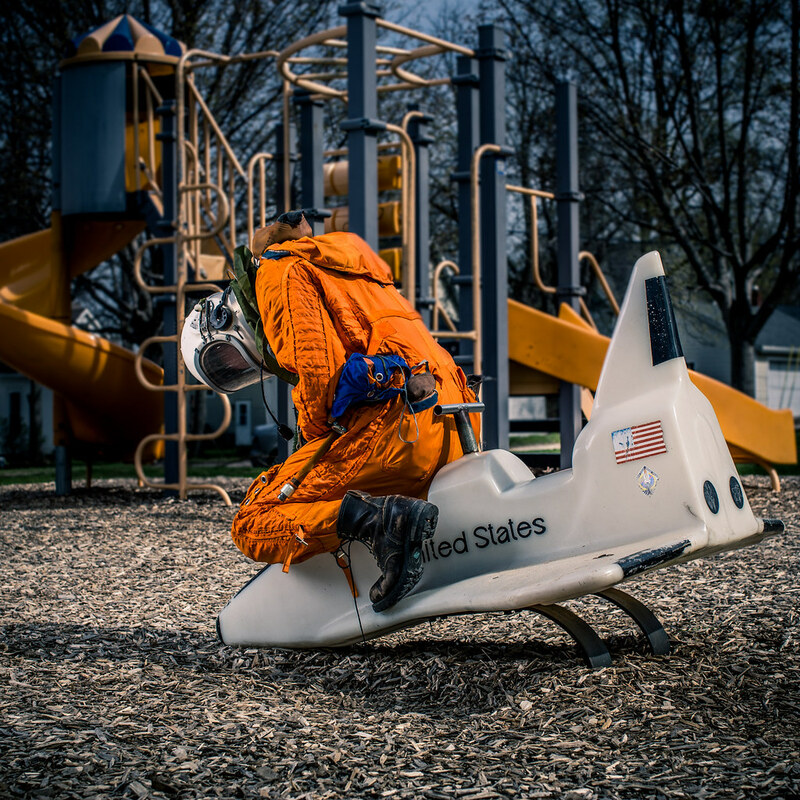 While he wants to make people laugh with his photos, Tim also hopes his series can pique people’s interest in space and encourage others to learn more about past space endeavors and support future ventures. Visit Tim’s photostream to see more of his photography. Our last Flickr Friday theme was #Alien, and here are some of our favorite submissions. In this week’s throwback journey, let’s take in the scenery in chronological order (1865 to 1947), starting with an exceptional city overlook in India to a vista point from an Australian park, and more offered in the photographic archives from The Commons.